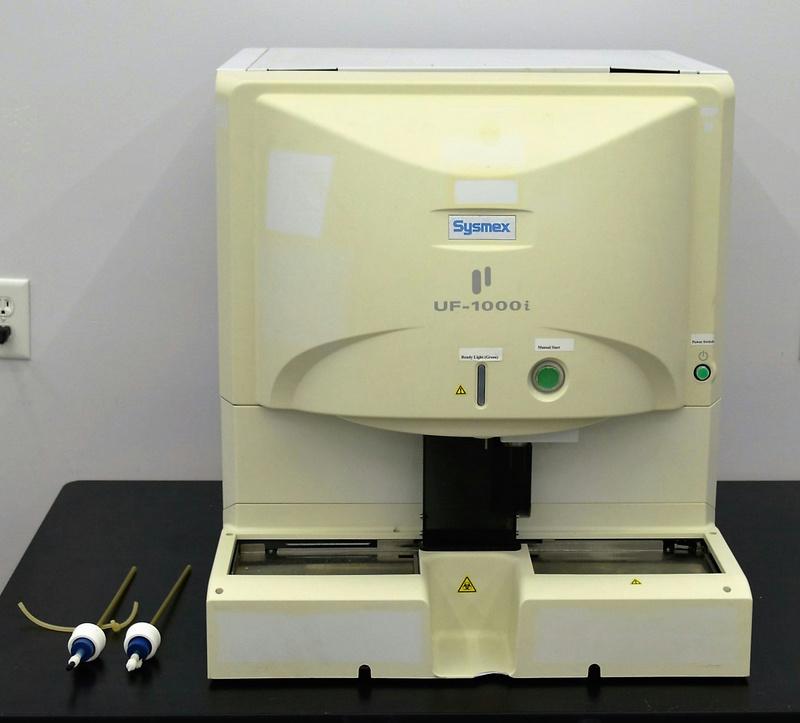 Sysmex UF-1000i Automated Urine Particle Analyzer​​ Urinalysis Flow Cytometry . New Life Scientific, Inc. Using fluorescence flow cytometry, the UF-1000i offers two separate channels: one for bacteria and one for sediment particles. This means you can now detect possible urinary tract infections in about one minute instead of hours, and at a rate of up to 100 samples/hour. And with its other diagnostic indicators, you can easily indicate contaminations, inflammations, bacterial and mycotic infections. You can improve your productivity levels thanks to negative sample avoidance, unattended walkaway operation and full automation. Of course, its all backed by Sysmexs globally renowned service and support. This Sysmex urine analyzer is in fair cosmetic condition, but shows several signs of wear and age including faded paint and scuffs. New Life Scientific technicians have evaluated the instrument for functionality and its overall condition. Unfortunately, the technicians powered the instrument on and the manual start 'ready' light turns red. No software or PC was acquired with this instrument and the user will need to purchase it separately. There may be additional parts or errors that were not identified during the limited testing performed. NLS will be selling this instrument for parts and in need of repairs. For more information, please see the detailed photographs.